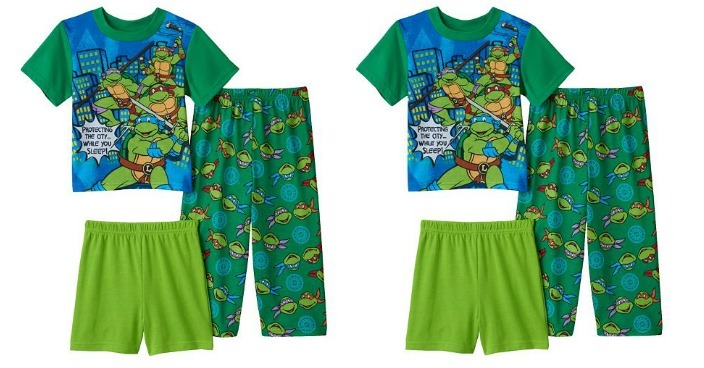 Toddler Boy Teenage Mutant Ninja Turtles Pajamas Only $4.48 Shipped! Down From $32! You are here: Home / Great Deals / Toddler Boy Teenage Mutant Ninja Turtles Pajamas Only $4.48 Shipped! Down From $32! Kohl’s has Toddler Boy Teenage Mutant Ninja Turtles Pajamas on sale for $6.40 (Reg. $32) but you can get one for only $4.45 shipped through 9/25!